That's funny, I read it as "Jove". What?? People could still worshipping those ol' Roman gods! If there were such people, I'm sure they'd be Anthropoligians, by Jove!! Far more uncostly than even the most quotidian alloy is something that Anthropologie, in all its boho zeitgeist, simply calls "metal". Here is a special example of unique art made of that 'metal'. Enjoy its eye-watering, jaw-dropping orangeness, the go to Spencer Gifts for more special examples of 'metal' jewelry!! "Metal" is goldish! 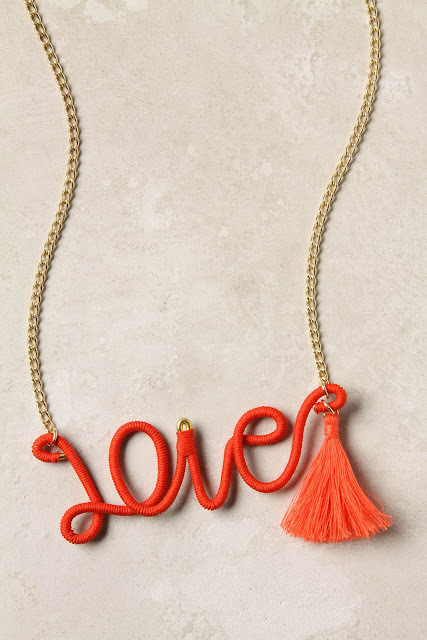 The necklace is a brass and goldish "Jove" necklace! 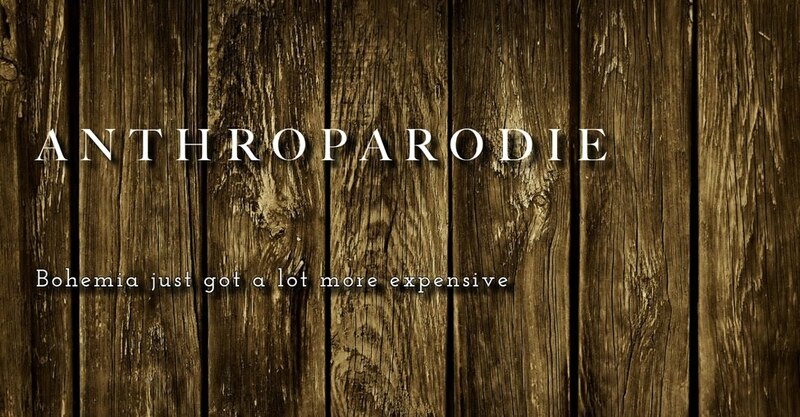 At Anthroparodie, we provide the elite and fashionably adventurous dreamers and artists with an illusion of a Bohemian lifestyle, while still promoting bourgeois decadence. Offering found vintage items that we design ourselves (and assemble in sultry third-world locales) our 153+ retail shops are a one-of-a-kind boutique. To purchase our floaty, flouncy, owlish, new-antique, hand-made, twee apparel and trinketry, click on the product name, which links to our online marketplace.